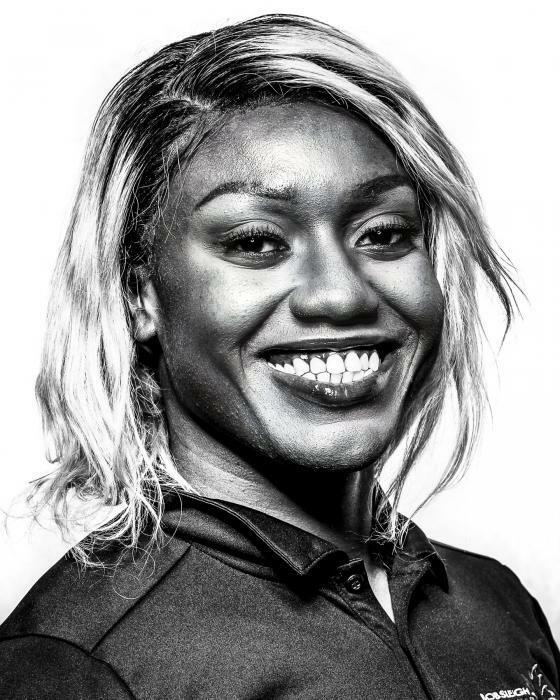 A standout shot put and hammer throw athlete at York University, Cynthia was introduced to bobsleigh in the summer of 2011 when she attended a testing camp at her university. Cynthia tested, went to her first bob school, completed school and has been on a steady progression since going to her second bobsleigh school in 2013. Cynthia enjoyed a standout rookie season on the World Cup where she pushed both two-time Olympic champion, Kaillie Humphries, to a gold and bronze medal, along with rookie pilot Alysia Rissling to her first ever World Cup bronze medal. Cynthia has excelled with fast pushes and medal winning performances at all levels while working her way through the system, sliding provincially and on the North America’s Cup circuit. After heading to PyeongChang as an alternate on Canada’s 2018 Olympic Bobsleigh Team, Cynthia switched positions in the sled into the driver’s seat. Weeks after returning from Korea, Cynthia headed to Lake Placid where she took part in a driver’s school and is now steadily mastering the art of piloting a sled. Outside of bobsleigh, Cynthia watches Jeopardy religiously. In fact next to earning the honour of representing Canada at the Olympic Games is to compete on Jeopardy. A trivia buff who watches way too much television, Cynthia a huge Blue Jays fan, and previously worked in the team’s customer services department. Cynthia is of four siblings in her family, and has a BA History Major/Psychology minor.